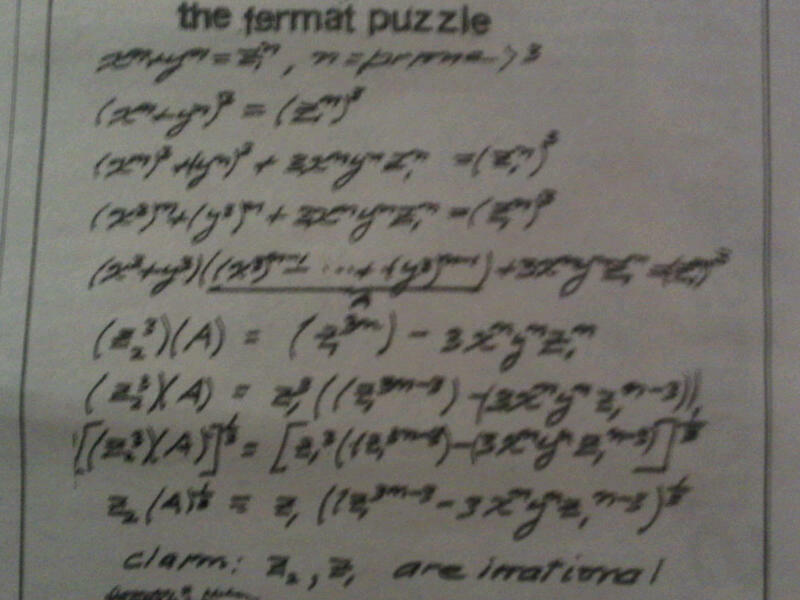 I’ve been playing around with this little mathematics proof shown in the inset image – The Fermat Puzzle. The number theory puzzle originally appeared as a challenge in MIT’s school newspaper “The Tech.” The solution was submitted presumably by a student and appeared at some point later in the newspaper. I found the proof to be quite tidy, but it included some steps, as you can clearly see, that I would not have thought to use – in particular the polynomial expansion. I really enjoy mathematical machinations like this. How about you? 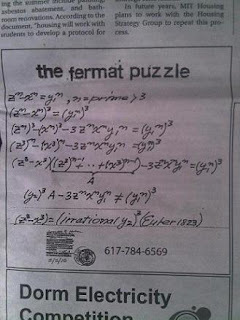 OK, it was kind of hard to rread the image, but I got it after a while. Yea I like the proof too. V. cool!! Hi there physics-groupie, I think I know who solved this problem. 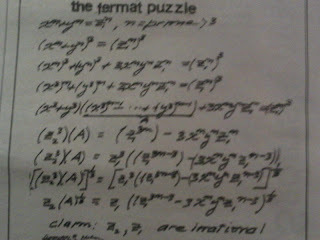 I go to MIT and he was in the library doing a pset, but he kept blathering on about this Fermat puzzle. I don't think he finished his homework because of it.